ShakeAlert® is an earthquake early warning (EEW) system that detects significant earthquakes so quickly that alerts can reach many people before shaking arrives. System for the West Coast of the United States. Before general public alerting can begin long term operational funding must be secured and the speed and reach of mass alerting technologies must be tested and improved. Many partnerships to test ShakeAlert in authentic environments such as utilities, hospitals, transportation systems, and educational environments are active today and more are being developed. The USGS has set the goal of expanding these applications in 2019 and beginning public notifications as soon as mass notification pathways can support them. Earthquakes pose a national challenge because more than 143 million Americans live in areas of significant seismic risk across 39 states. Most of our Nation’s earthquake risk is concentrated on the West Coast of the United States. 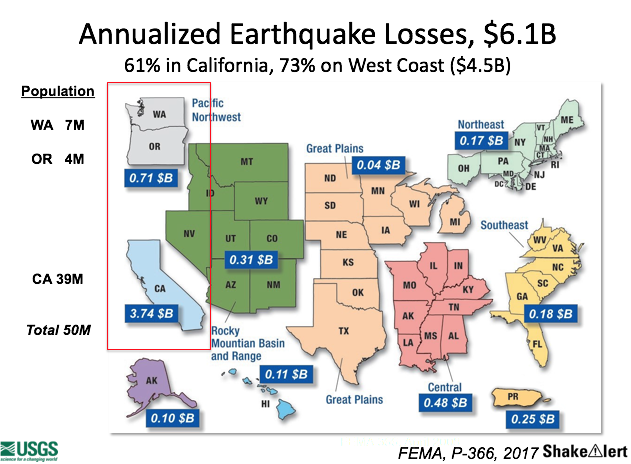 Federal Emergency Management Agency (FEMA) has estimated the average annualized loss from earthquakes, nationwide, to be $6.1 billion, with 73% of that figure ($4.5 billion) coming from Washington, Oregon, and California, and 61% ($3.7 billion) from California alone. In the next 30 years, California has a 99.7% chance of a magnitude 6.7 or larger earthquake and the Pacific Northwest has a 10% chance of a magnitude 8 to 9 megathrust earthquake on the Cascadia subduction zone. Today, the technology exists to detect earthquakes, so quickly, that an alert can reach some areas before strong shaking arrives. The purpose of the ShakeAlert System is to identify and characterize an earthquake a few seconds after it begins, calculate the likely intensity of ground shaking that will result, and deliver alerts to people and infrastructure in harm’s way. This can be done by detecting the first energy to radiate from an earthquake, the P-wave energy, which rarely causes damage. Using P-wave information, we first estimate the location and the magnitude of the earthquake. Then, the anticipated ground shaking across the region to be affected is estimated and a warning is provided to local populations. The method can provide warning before the S-wave arrives, bringing the strong shaking that usually causes most of the damage. Studies of earthquake early warning methods in Washington, Oregon, and California have shown that the warning time would range from a few seconds to a few tens of seconds. ShakeAlert can give enough time to slow trains and taxiing planes, to prevent cars from entering bridges and tunnels, to move away from dangerous machines or chemicals in work environments and to take cover under a desk, or to automatically shut down and isolate industrial systems. Taking such actions before shaking starts can reduce damage and casualties during an earthquake. It can also prevent cascading failures in the aftermath of an event. For example, isolating utilities before shaking starts can reduce the number of fire initiations. The USGS will issue public warnings of potentially damaging earthquakes and provide warning parameter data to government agencies and private users on a region-by-region basis, as soon as the ShakeAlert System, its products, and its parametric data meet minimum quality and reliability standards in those geographic regions. The USGS set the goal of beginning limited public notifications in late 2018 at the magnitude 5.0 level through alerting pathways that are fastest enough to be effective. In the longer term, ShakeAlert availability will expand geographically to ANSS regional seismic networks with sufficient seismic instrumentation to support timely alerts. 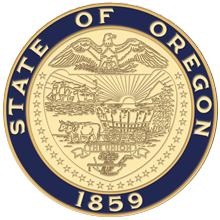 In the fall of 2018 the West Coast ShakeAlert System became sufficiently functional and tested to begin Phase 1 of alerting in California, Oregon, and Washington. 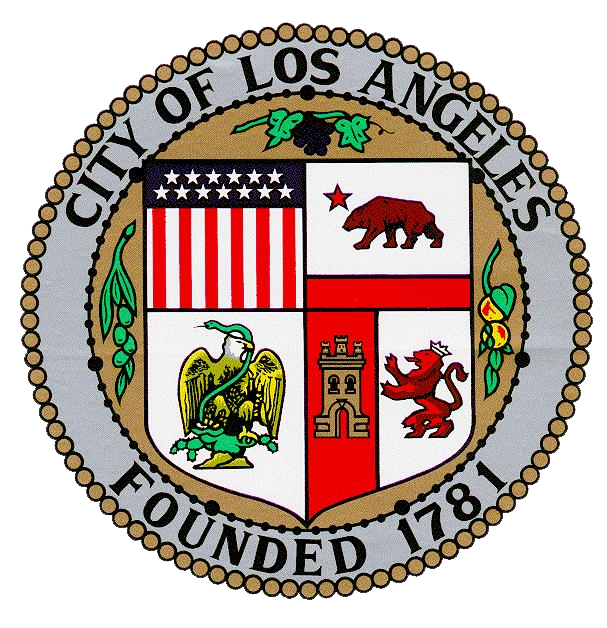 Several commercial and institutional users are alerting personnel and taking automated actions; an important step in a strategy of phased roll out leading to full public operation. Broader public alerting at the magnitude 5.0 level will begin when existing mass alerting technologies are able to deliver alerts at the speed or scale needed for effective earthquake early warning. The ShakeAlert partners are working with both public and private mass alert system operators including FEMA, cellular carriers, mass notification companies, and others to provide that functionality. Finally, the public has not yet been educated about the system and how to respond to alerts when they are delivered. In addition to these Phase 1 implementations, technical improvements in the system are also part of the story. The sensor network has reached target density in the Los Angeles, Bay and Seattle metro regions and version 2.0 of the ShakeAlert production system has been deployed. This updated version of the ShakeAlert System is produces both point source and line source earthquake solutions, has added ground motion estimation products, and the number of false and missed events has been reduced. The version 2.0 system has also satisfied government cybersecurity requirements and includes improved operational procedures. 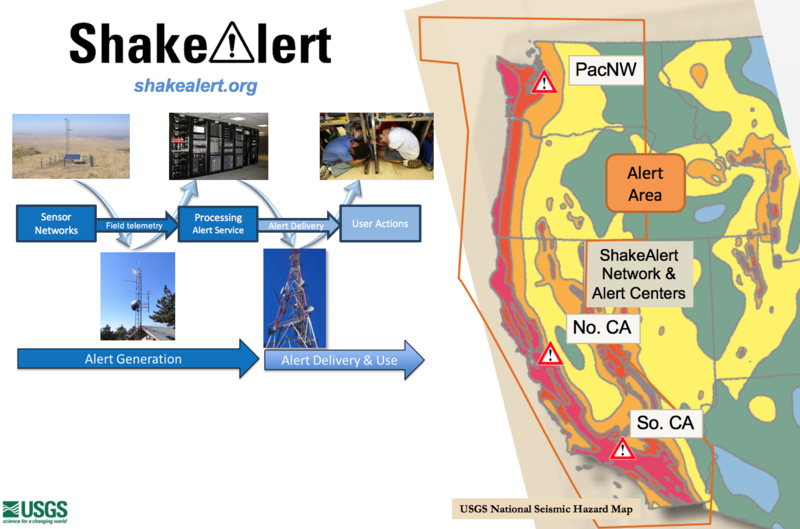 The ShakeAlert System is being developed by expanding and upgrading the infrastructure of regional seismic networks that are part of the Advanced National Seismic System (ANSS), the Pacific Northwest Seismic Network (PNSN) and the California Integrated Seismic Network (CISN). CISN is made up of the Southern California Seismic Network (SCSN) and the Northern California Seismic System (NCSS). This enables the USGS and ANSS to leverage their substantial investment in sensor networks, data telemetry systems, data processing centers, and software for earthquake monitoring activities residing in these network centers. 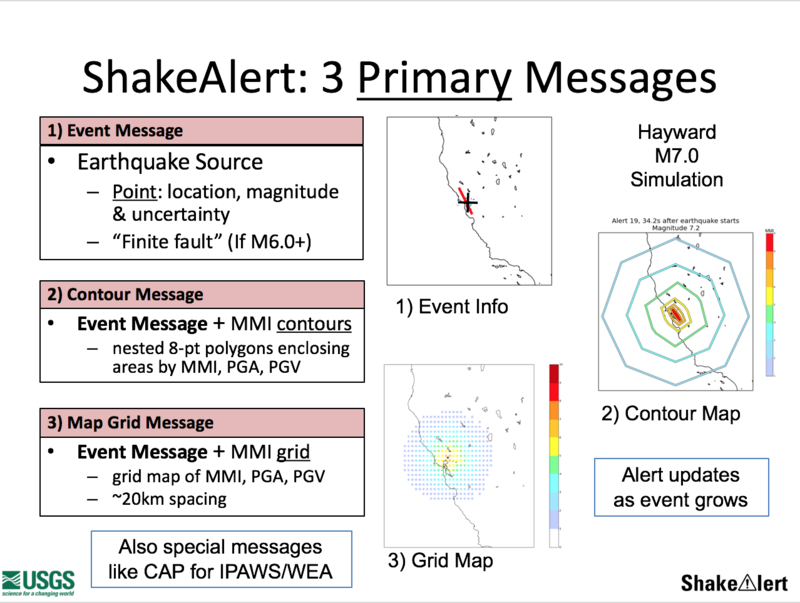 The ShakeAlert System has been sending live alerts to “beta” users in California since January of 2012 and in the Pacific Northwest since February of 2015. The USGS will develop and operate the ShakeAlert System, and issue public notifications under the authorities of the National Earthquake Hazard Reduction Program, as enacted by the Earthquake Hazards Reduction Act of 1977, 42 U.S.C. §§ 7704 SEC. 2.